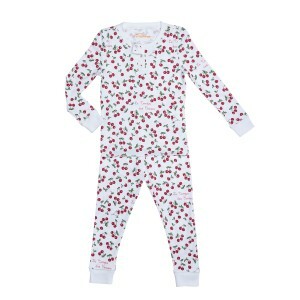 Since there’s pretty much nothing cuter than matching pajamas for the whole family, we’ve found six PJ party looks we love that will inspire you this holiday season! 2018 is officially the year of the Christmas pajama! Admittedly obsessed with making Christmas morning even more magical, we searched high and low to find (and design!) 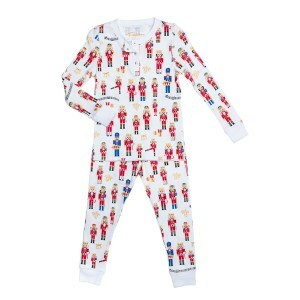 the cutest pajama sets for your whole family. All completely non-toxic and ethically made, these sets and suits are the perfect outfit for bedtime story sessions, early morning bake offs and post Christmas morning frenzy naps. When it comes to zip up onesies, Milkbarn always delivers the best prints and fabrics. 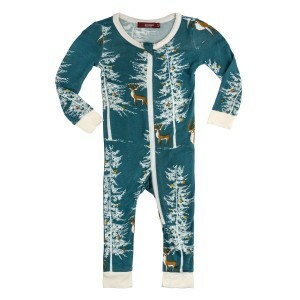 This season, their holiday themed animal suits are made from 100% bamboo rayon, which is naturally hypoallergenic and feature timeless and whimsical animal prints that your tot will continue to wear all year round. 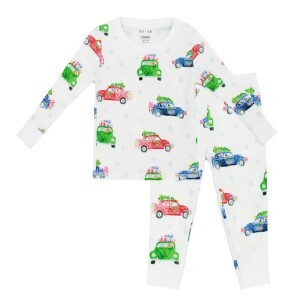 Crisply designed in black and white patterns, these PJ sets are perfect for two to four year olds who are looking to move and groove on Christmas morning in an understatedly cool pajama set. Made from 100% organic pima cotton and dyed with Oeko-Tex certified non-toxic paints, they’re easy to wear and even easier to love. 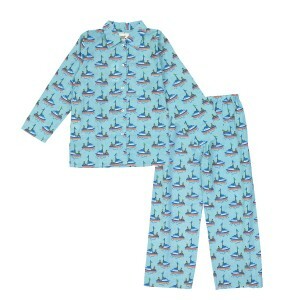 Designed in New York and ethically made in Peru out of 100% pima cotton and non-toxic inks, these PJ sets and onesies by Petidoux are what Christmas dreams are made of! 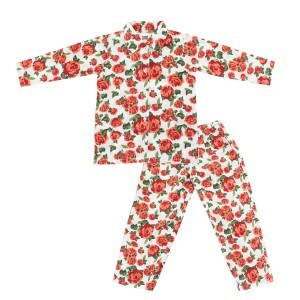 A more traditional look with a front button closure and collar, the Le Petit Lucas du Tetre PJ sets are ethically made in India and have vibrant hand printed prints that your kids will love wearing all year round.